Growing a community of brand loyalists—by 1,600%. A full swing approach to PPC, SEO, social and email. With a multi-phase plan of attack, our job was to connect re-gripping with better performance for golfers everywhere. Our awareness and engagement campaigns sprouted a community of brand ambassadors—and our conversion strategies, with in-store displays, tester campaigns and more, have helped to drive an increase in grip sales every year. Our challenge was getting golfers who have never re-gripped in the habit of re-gripping every year. That meant educating them on how grip technology can improve performance. At the time, Golf Pride’s website was more focused on grip specs than what customers really needed—reasons to re-grip in the first place. In our redesign, we took an education-first approach, weaving in new content areas—like a better FAQs page, grip performance stats, tutorial videos and more—to illustrate the benefits of re-gripping. We also shot several informational videos. For a golfer, it’s hard to ignore Michael Breed telling you to change your grips once a year for your best performance. Grips aren’t naturally the sexiest part of golf. To start the conversation socially, we needed to make the re-gripping message relevant, tapping into a golfer’s competitive drive. We shared a mix of content to establish Golf Pride as an authority in the golf industry. We interviewed pros, we covered Tour events—we shared the kind of content avid golfers were hungry for. As we steadily grew a community of followers, our goal was to turn those fans into brand ambassadors, helping us spread the re-gripping message and position Golf Pride as the leader in golf grip technology. As part of our re-gripping campaign, we ran targeted ads to entice golfers who weren’t re-gripping to learn why they should. Through a series of display, search and remarketing ad campaigns, we targeted golfers we knew were less likely to re-grip on their own. These golfers weren't easy to find. We had to get creative, applying what we knew about golfers who do re-grip to help us define and target the segment of golfers who don't. Once we found these golfers, we drove them to educational pages on the site to learn more about re-gripping, as well as to the Grip Selector Tool, where they could discover the benefits of different grips based on various conditions and preferences. In 2013, Golf Pride had 10,000 email subscribers. Today, they have over 135,000. Our email marketing strategy is twofold: Grow the subscriber database, and nurture these relationships to create a community of regular re-grippers. We gathered as much data on Golf Pride’s subscribers as possible, and used that to tailor email communications accordingly, which led to some of the strongest engagement stats we've ever seen. It’s not enough to just educate about re-gripping. Once a golfer enters the consideration phase, it’s also our job to make sure they choose Golf Pride. See how we’re doing that below. When a golfer browses online, our goal is to get them to a retailer to purchase. Once they’re in-store, we make the decision as easy as possible. We design every aspect of the in-store shopping experience for large national chains to local pro shops, and everything in between. We make sure that from the moment a customer enters, to the moment they browse the re-gripping section, Golf Pride is the obvious choice. As the manufacturer, Golf Pride can’t be there every time a customer shops their grips—but with the online Grip Selector Tool, they brought part of that “shopping” experience online. And we helped make it better than ever. 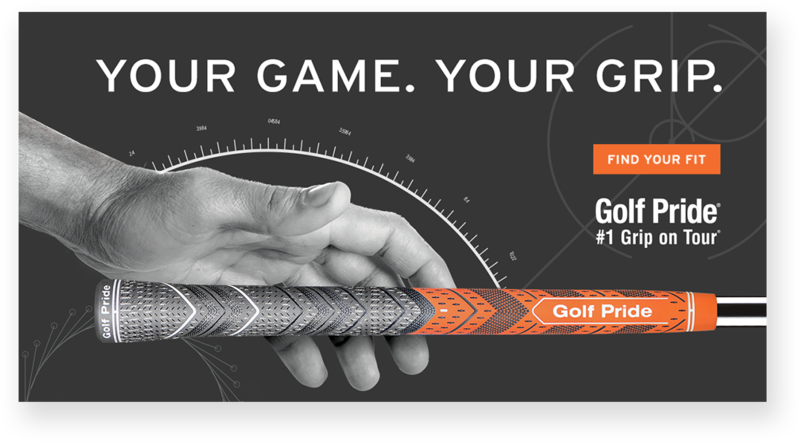 Golf Pride originally created an online Grip Selector Tool to help golfers discover the grip that best fits their needs—but it wasn’t being used. We updated the tool, made it mobile-friendly, and wove CTAs throughout the site driving users to check it out at natural points in the browsing process. The tool considers factors like hand size, glove size, grip size, moisture management needs, texture and more, and provides a tailored recommendation for each unique golfer. It’s like having your own personal grip consultant. Golfers who have never re-gripped before sometimes need a little push — like having the product in-hand, to test themselves, at no cost. 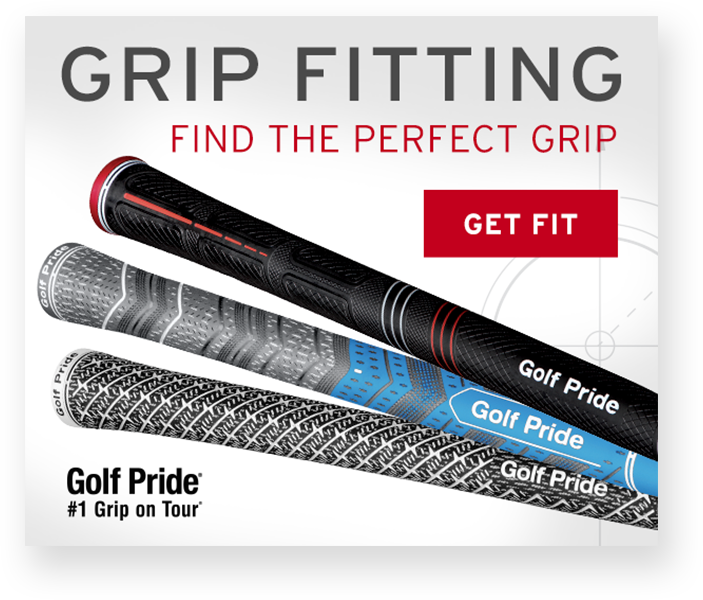 We’ve launched several Grip Tester campaigns, calling all golfers interested in trying the latest Golf Pride grips to sign up. 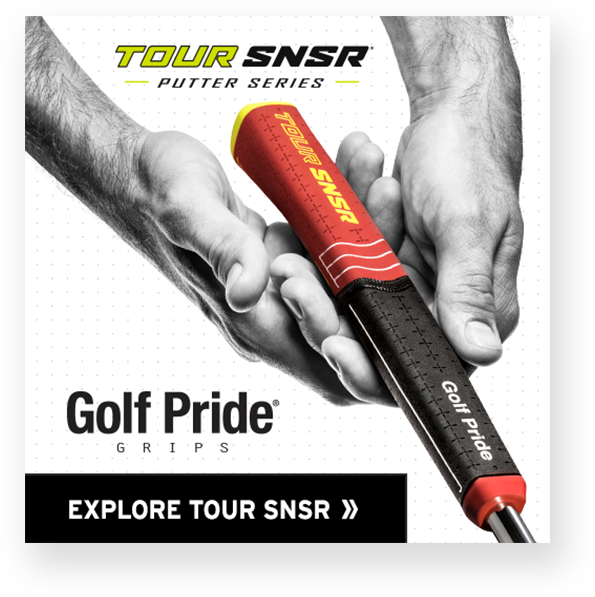 We’ve captured tens of thousands of new email addresses (all added to the Golf Pride database for nurturing) and have gotten new grips into the hands of hundreds of golfers to try. After feeling the difference in fit and performance, 3 out of 4 testers purchased grips. We even designed a grip. Seriously. Two years into our relationship, Golf Pride needed help designing a new grip. They came to us first, since by that point, we knew their brand better than anyone and were always willing to take on whatever they needed. Over the course of a year and a half, we worked closely with Golf Pride to help bring the MCC PLUS4™ to life, designing all the grip’s textures and details, creating the prototypes, testing in the field and making changes based upon feedback from Tour players. And once the MCC PLUS4™ made its way to retailers, we managed the product launch campaigns—building landing pages, in-store merchandising displays and more. That’s as full-circle as it gets.